Sears Canada Inc. (NASDAQ:SRSC) has sought court protection from its creditors so it can eliminate nearly 3,000 jobs and close 59 stores. The company secured protection from Ontario Superior Court under the Companies’ Creditors and Arrangement Act. Under Canadian law, the statute gives troubled corporations owing in excess of $5 million to creditors the opportunity to avoid bankruptcy. Sears Canada operates 225 stores under the Sears and Corbeil names. The retailer is a separate, publicly traded company that was spun off from Sears Holdings (NASDAQ:SHLD) in 2012. The company’s executive team said on June 13 it did not expect its cash flow to meet obligations due in the next 12 months. The documents say that Sears Canada has secured up to about $450-million of debtor-in-possession financing from its two existing lenders in two interim financing facilities. Sears also has developed a “key employment retention plan” that provides “appropriate incentives” for Sears’s critical staff “to remain their current positions and ensures that they are properly compensated for the assistance in the restructuring process.” Sears Canada has hired BMO Nesbitt Burns as its financial adviser and Osler, Hoskin & Harcourt LLP for legal counsel. The board of directors has retained Bennett Jones LLP as its law firm. Sears has not released details the specific timing of the store closings. The store closures include 20 large department stores, 15 of its home stores, 10 outlet stores and 14 Hometown locations. Due to the closures, 2,900 of its 17,000 employees will lose their jobs. The company said in a statement that its other outlets will remain open. The initial CCAA court order is in effect for 30 days, subject to extension by the court. The court appointed FTI Consulting Canada Inc. as monitor in the Sears case to oversee the restructuring. 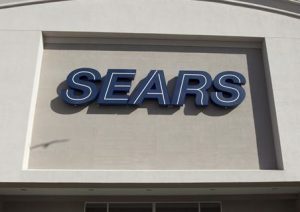 The initial CCAA court order does not apply to Sears Canada‘s pension assets previously contributed in to the pension plan, as those assets are held separately from the assets of the Sears Canada Group.